Achieving a great customer experience has always been a priority. Following the idea to help you come through the creating a user-friendly site with high conversion rate, we go on to cover all points in store usability. Undoubtedly the imrpoved navigation and checkout page are the key points in overall site usability. However you can also provide your customers with having a whale of time on a product page. 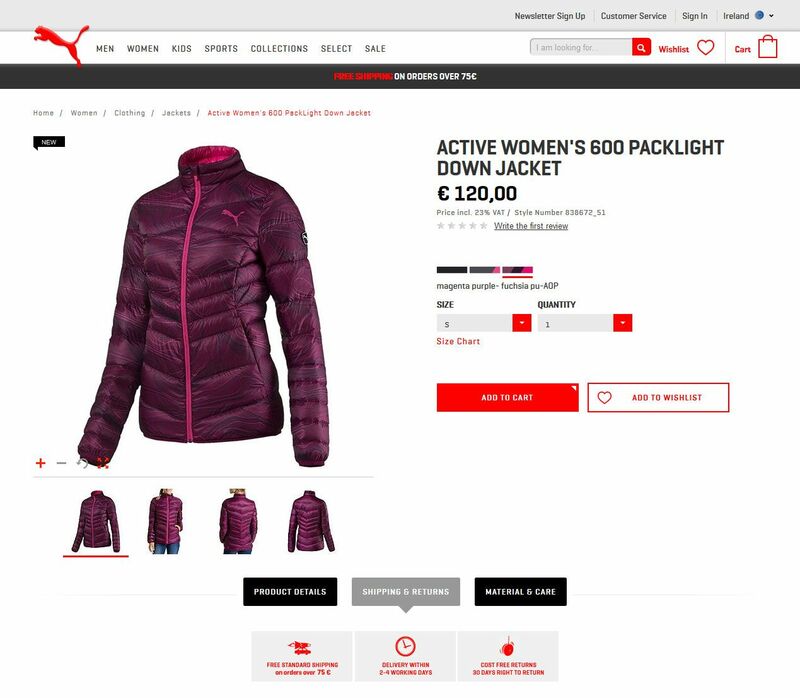 Need a product page that converts visitors into happy customers? Let’s say you’ve already created a product description that sells. How to hand a detailed product content in order to make it understandable and engaging? Well, this type of displaying a product info is truly worth implementing. Further we will show awesome samples with the tabbed content in real online shops. There is also an accordion way to arrange and present a content. If you’re running a mobile site only, perhaps you’ll choose an accordion that is a good alternative to a tabbed interface when the screen is narrow. Either tabs and accordion organize the content and make a webpage look well-ordered. Nevertheless there is a minor difference between these types of content showcase. Accordion is good for mobile browsers where there is not enough space for horizontal and vertical tabs. A user won’t spin his head in order to read headers. Accordion method allows you to show a short part of content that helps users to decide what kind of information to read first. Product tabs display one part of the product info and hide a rest. Tab headers stay at their place after being chosen that makes selecting tabs easier at any time. With product tabs no need to go back to the top and choose the next accordion section, for instance. A usual, in order to continue reading a visitor makes just one click at eye level. It causes less confusion. So, focusing on positive customer experience on a product page is a kind of why we choose namely tabbed content. It brings most user friendly experience. Why it’s preferably to show product tabs? Tabbed content is an effective way to reduce clutter on the product page and improve the user experience. In tabs you will show much more product details without sending a visitor to another page. By adding product tabs you help users easily find a required product information by clicking on related tab title. Visitors have not to scroll the entire page in order to find the product info they’re interested in. Right now we’re going to impress you with amazing content shown in product tabs. The following e commerce sites are world's leaders in different segments. These companies gained popularity year after year and keep this up. 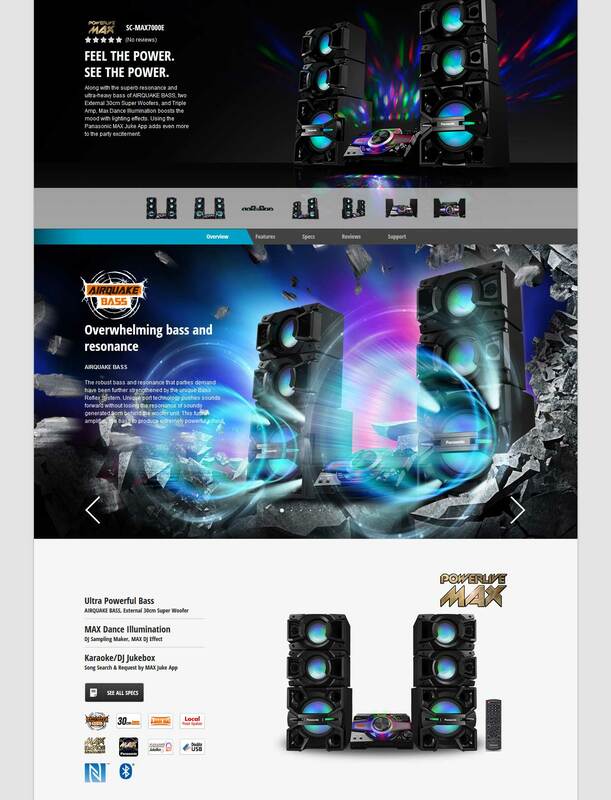 The largest Japanese electronics producer website provides you with an awesome product page. You can see the following product tabs: overview, features, specifications, reviews and support. 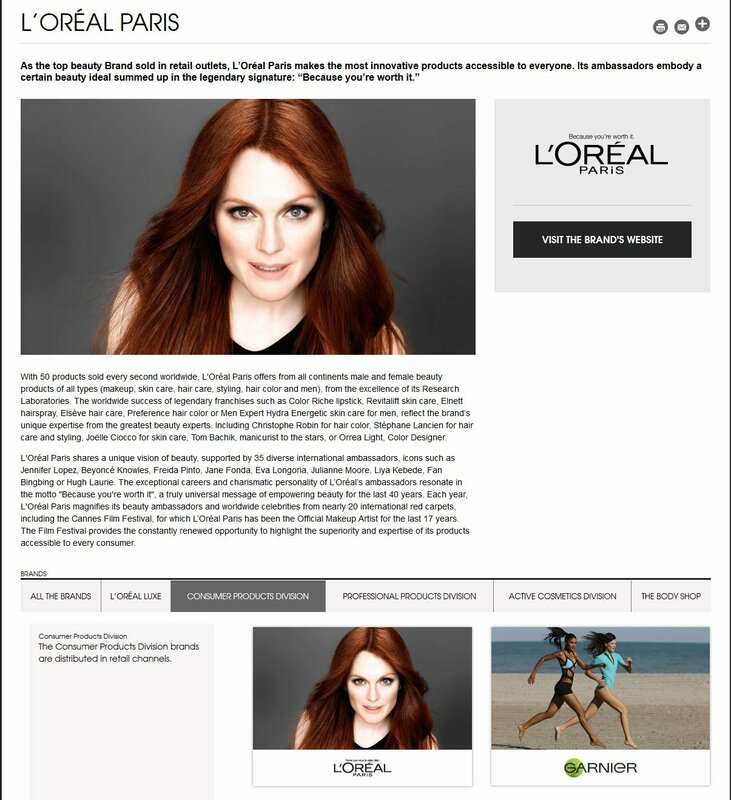 L’Oreal company with a registered office in Paris is present in 130 countries on five continents. However you can easily buy cosmetics online. You will meet the tabbed content not only on the product page, but on CMS pages too. 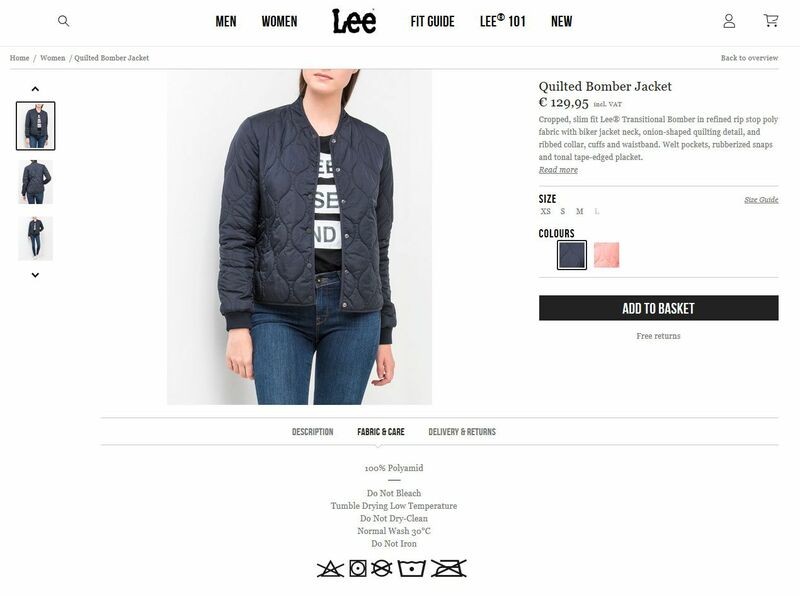 Lee online shop provides you with a variety of designer jeans. Before you choose a product that will match you better, you can consider the product fabric and care and delivery and returns information directly on the product page. This is a company that was started by 7 friends who tend to have the best appetite. You can find here lot's of choices and delicious snacks. If you control your intake, take a look at ingredients, nutrition and reviews shown in product tabs. Dell was founded in Texas in 1984. The company that offers a wide range of computers and related products, keeps selling online. 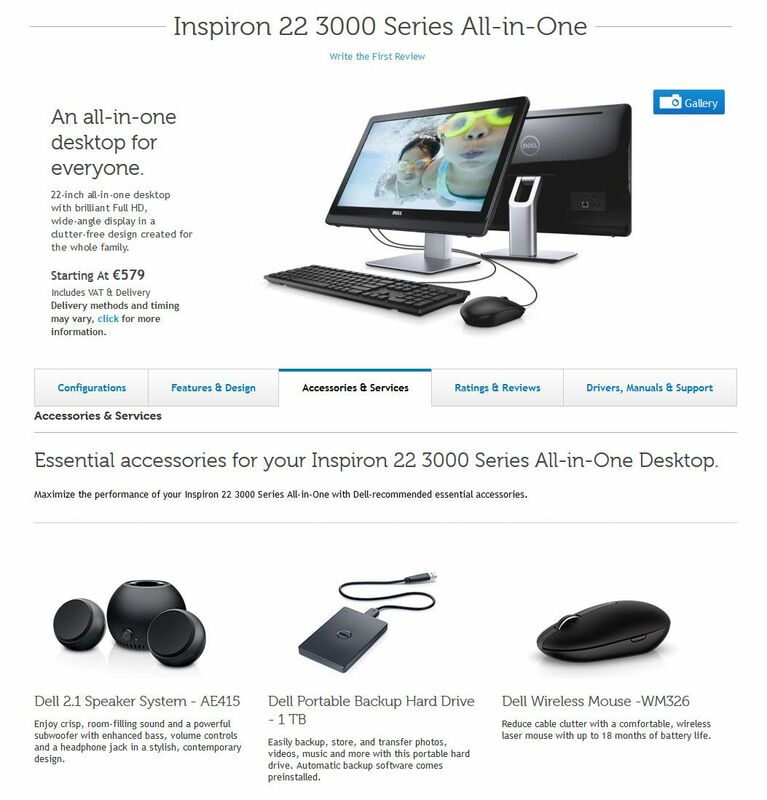 In order to provide customers with full information about product details, Dell's team shows the following tabs: configuration, features & design, accessories & services, ratings & reviews, drivers & manuals & support. With Bobbi Brown cosmetic you will be who you are. Through the company website you will be a happy customer. 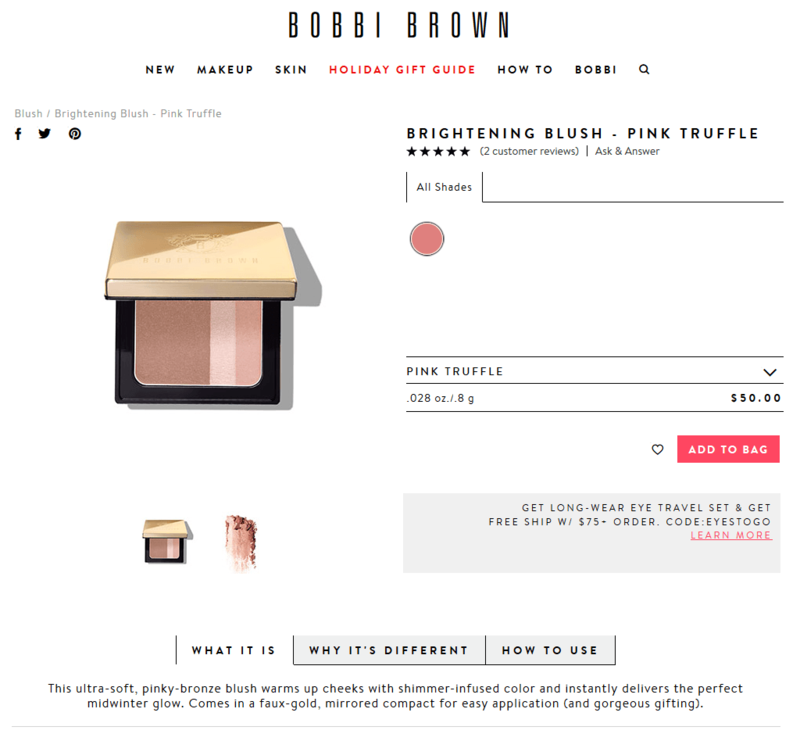 In order to help you to choose what exactly you need, Bobbi Brown store added tabs on the product page. Have a look at what it is, why it’s different and how to use tabs. Amway is an American company founded in 1959. 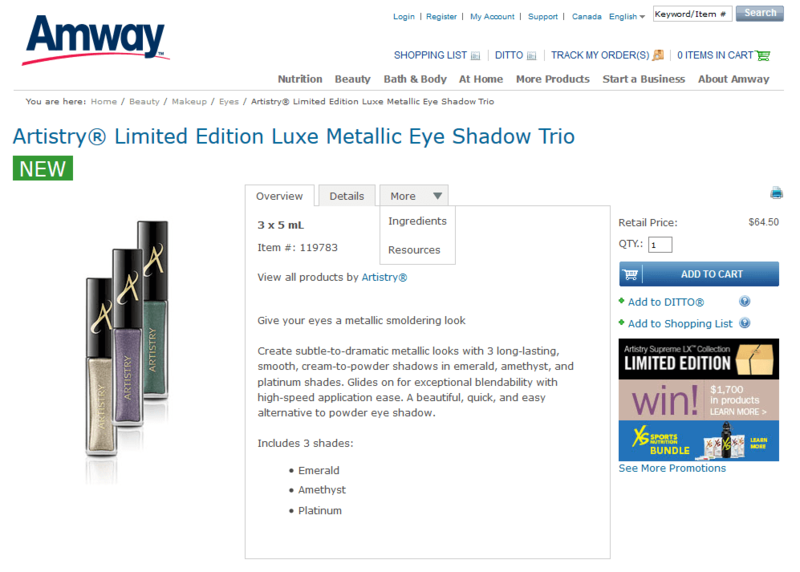 Working with millions of customers worldwide, Amway keeps improving the online store. 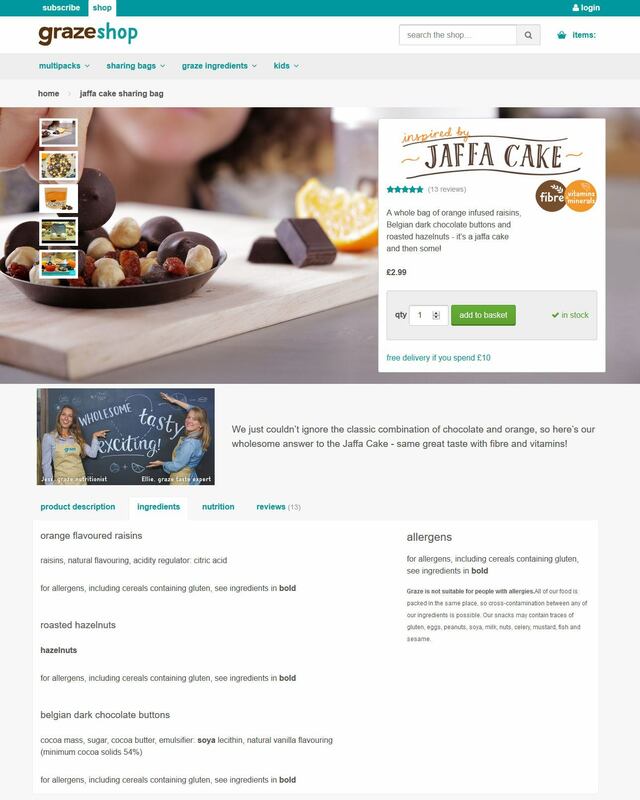 You can see easily readable product tabs on the product page: overview, details and more with 2 filters as ingredients and resources. 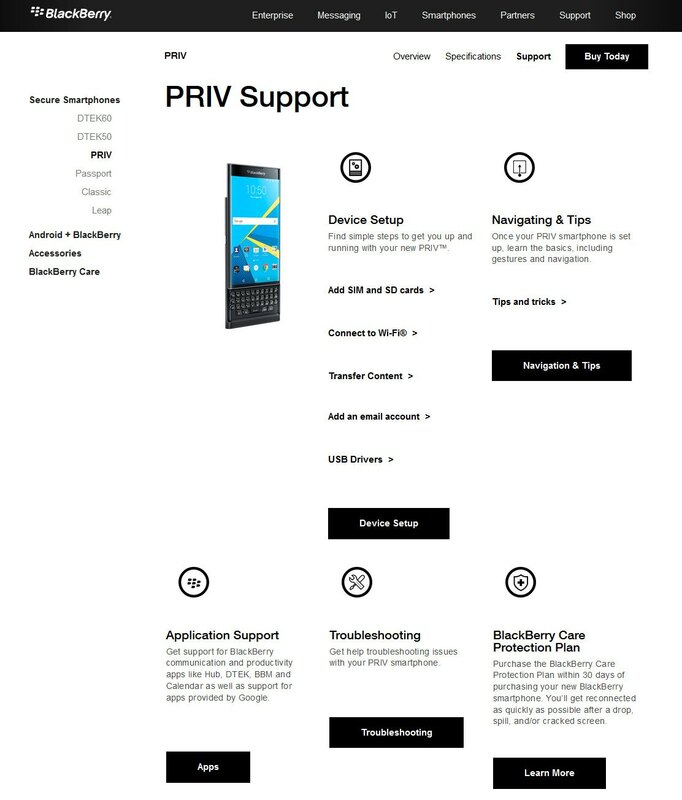 The Canadian company Blackberry is providing users with a big line of smartphones and services. You can shop online by discovering all product details shown in overview, specifications and support tabs. 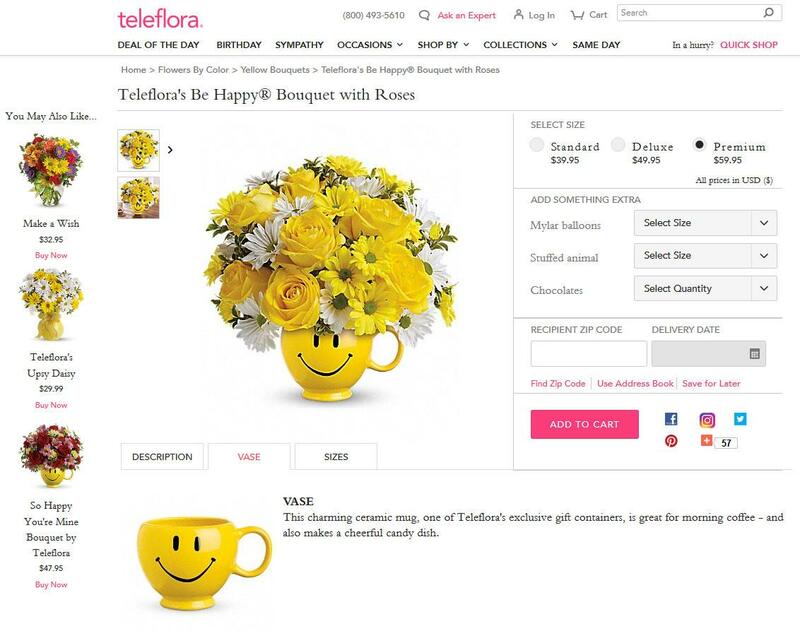 Teleflora's slogans are same-day delivery in U.S. and Canada, secure ordering and satisfaction guaranteed. This is a service company makes sending fresh flowers to your friends using flower deliveries services. You can choose a flower, vase and size of bouquet directly on the product page by exploring an info shown in tabs. Puma brand is famous worldwide. You can always buy sport-inspired lifestyle products such as footwear, apparel, and accessories in online shop. On a product page there is useful tabbed content. You will see product details, shipping & returns and material & care. Sony's PlayStation gaming business is going to launch much more games. besides you can also buy high quality electronics. Browsing online you will find any products made by this japanese company. It would be better at Sony website. By the way you can easily find all useful information directly in product tabs such as features, specifications, reviews and support. 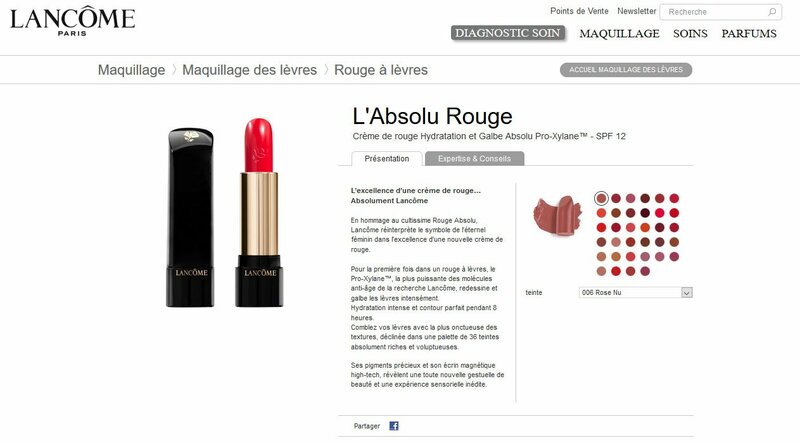 You can always find the latest in beauty at Sephora website. This French chain of cosmetics stores gains popularity year after year. The website is an example of the best usability. 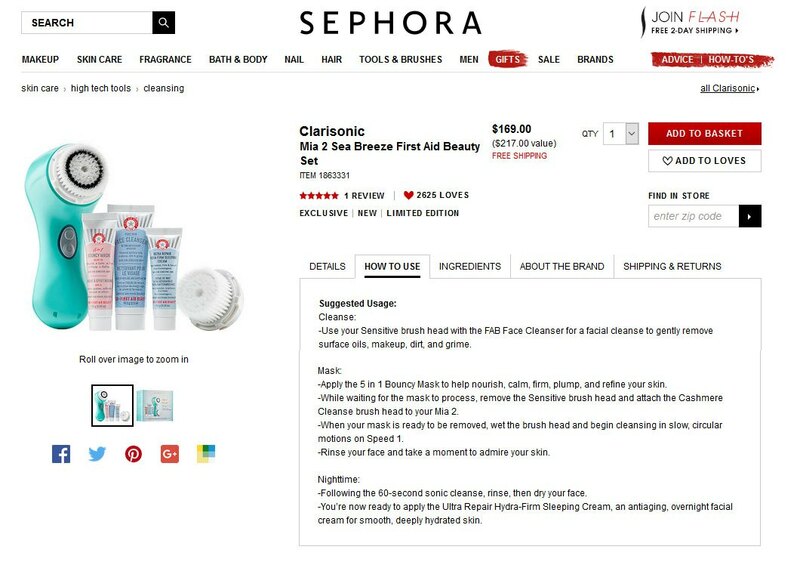 Among other things you can see product tabs: details, how to use, ingredients, about the brand info, shipping and returns. Specialised Covers is a family-run firm founded in 1981 in the UK. The company will help you to protect your car, caravan and motorcycle with one of their specialised tailored covers. In order to configure a cover, you can use lots of website features. 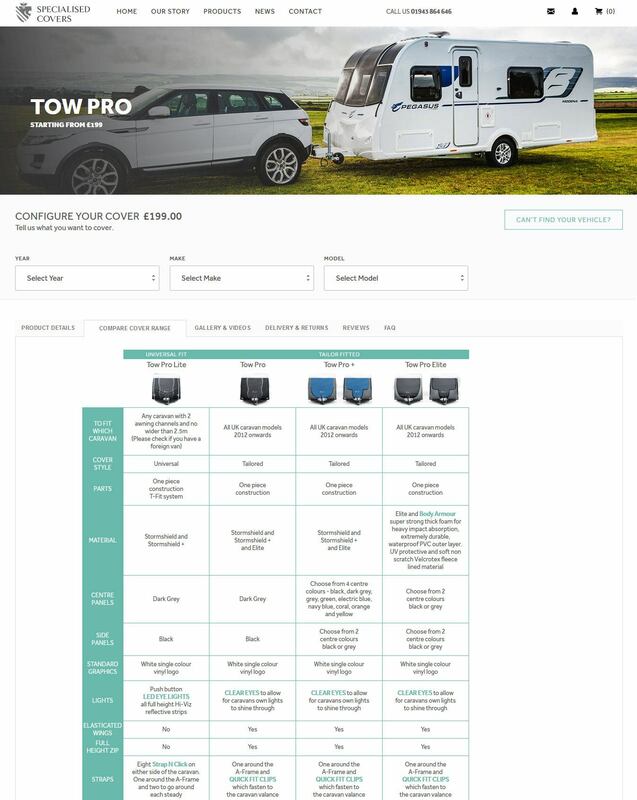 So, you can see such product tabs as compare cover range, gallery & videos, delivery & returns, reviews and FAQ. 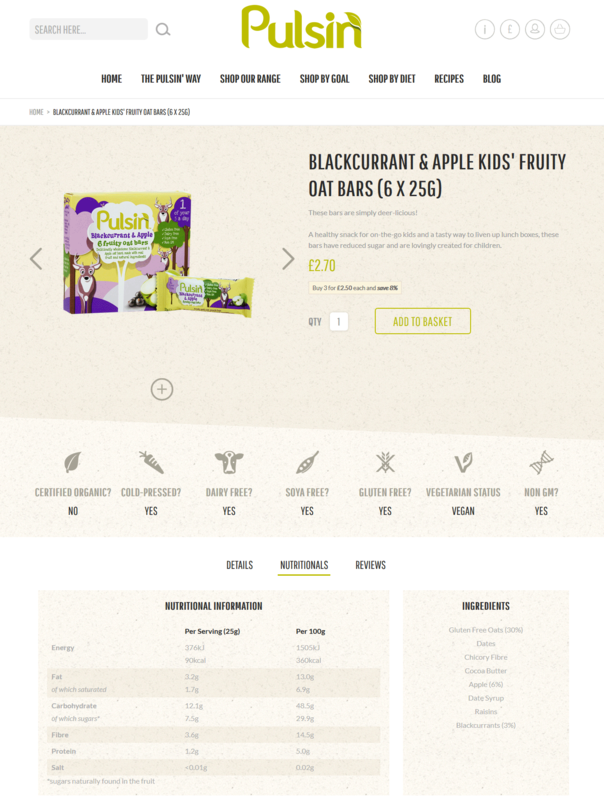 If you’re searching for gluten free, dairy free, vegan-friendly kids' bars, protein bars, welcome to Pulsin online store. Having made the first energy ball on the kitchen table in 2006, the company keeps delivering premium natural snacks. 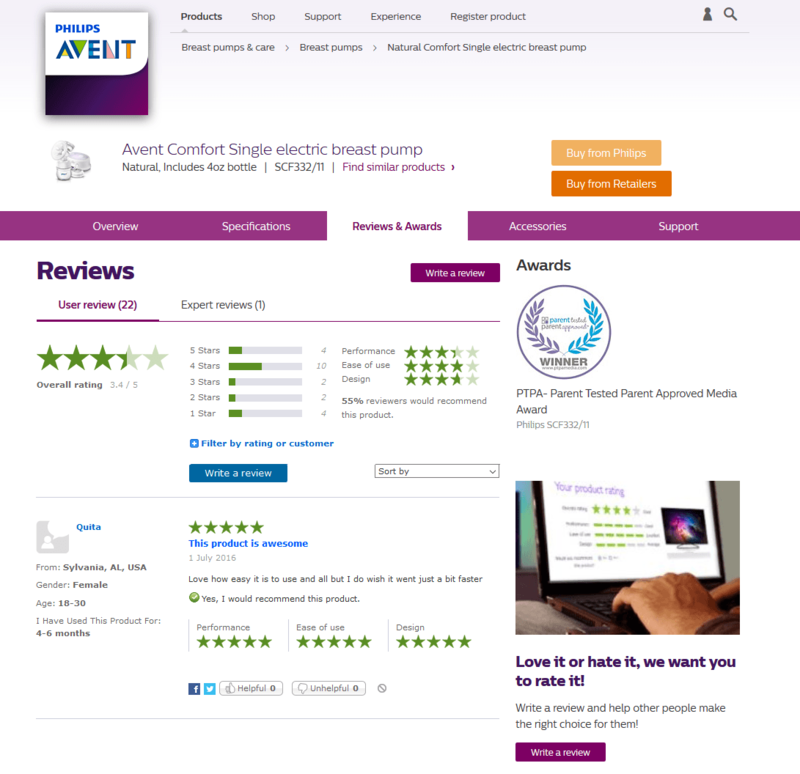 Why not to verify by yourself by discovering nutritionals and positive reviews displayed in product tabs. Treat yourself to best-selling skincare or makeup or fragrance by Lancome. The company was founded by a French chap named Armand Petitjean back in 1935. Despite of simpleness of a product page design, you can find any information about the product you need. There are product tabs such as presentation and expert advice. Philips Avent is a leader in parenting and baby products. The company believes that the tiniest things make the biggest differences to people and their babies. In addition to products comfortable to moms and kids, Philips Avent provides clients with user-friendly shopping process. Among product tabs you can see overview, specifications, reviews & awards, accessories and support. Bulk Herb Store is a family owned business. They offer a wide variety of the highest quality bulk organic herbs, spices, seasonings, teas and also accessories and tea kits. We encourage you to visit Bulk Herb Store website. It is truly beautiful and user friendly. The product page is enriched with the following tabs: details, reviews, recipes and product questions. The last pattern is an outstanding example of product tabs usefulness. You can see questions/answers block related to the product. Via product questions tab the visitors get very useful information about the item they are going to purchase. There’s no need to make a call, send an email or browse another pages to find a critical piece of information required to complete a bargain. Do you like it? Have you been inspired by product tabs design? Let’s see how to realise this powerful product page element. As we promised, we consider a few Magento tools that will help you to take advantage of product tabs feature. The Magento doesn’t offer this functionality by default. Fortunately there are great ways to tell your customers everything that is available to know about your product. If you stumble upon the challenge how to effectively design product tabs at your website, please follow our suggestions. Magento Easy Tabs solution will help you to replace default Magento tabs with highly customizable ones. You are also allowed to create custom tabs and show any beneficial product details. The module comes with responsive design, thus you can be sure the tabs will look nice on mobile devices. Being integrated with product tabs extension the Magento Ask It module allows you to add product questions block into tab. Do it easily using a widget. Talking about Magento 2 tools, we’d like to share with you two effective modules. Magento 2 product tabs extension is a good way to present a content in the best usable way. The module will help you to add multiple tabs with any dynamic content into. There are many flexible widget options. Magento 2 Product questions module will help you to reduce support requests by showing product related questions and answers inside a product tab. 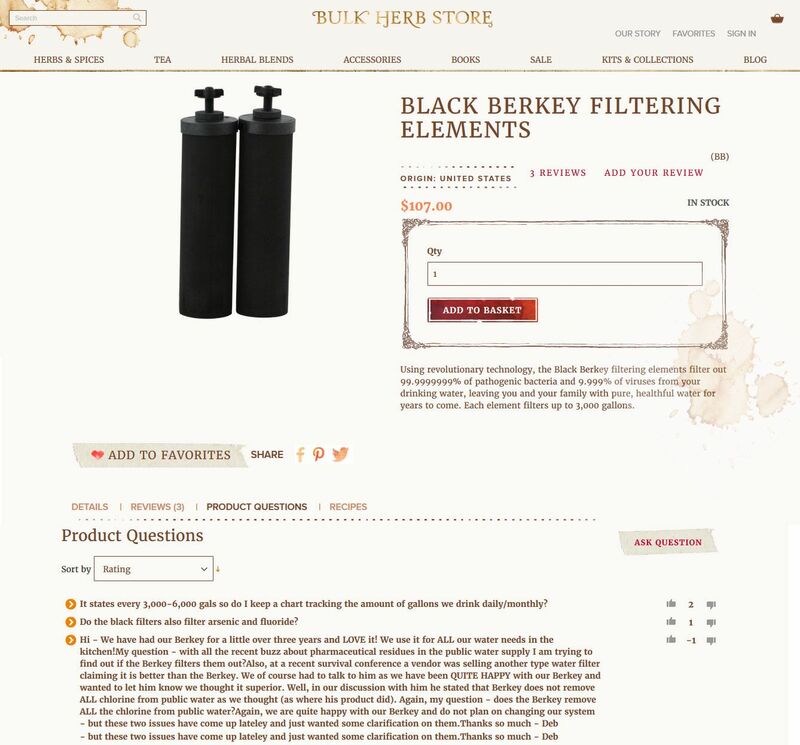 Ask It block is a good way to get specific product information from our community of visitors. New customers will appreciate. Having added the product tabs to the page you create enough whitespace and make your product page readable. In the same time you describe the extended product description, tips to use, high quality video, customer reviews, delivery information, manuals, etc. Easy to access tabs make visitors feel easy while searching a particular information. We have a common goal and that is to bring the website usability to the highest level and increase sales. Let’s try creating brilliant tabbed content. Please describe your experience in comments. November 25, 2016 Roman B.